Edwin Bifelt is Koyukon Athabascan from Huslia, and currently living in Fairbanks. His parents are Fred and Audrey Bifelt of Huslia, and he has three sisters and two brothers. His paternal grandparents were the late Cue and Madeline Bifelt of Huslia. His maternal grandparents are Alfred and Helen Attla of Hughes. Edwin graduated from the Jimmy Huntington School in Huslia and earned his bachelor’s degree from the University of Alaska Fairbanks. In a few months, he will earn his master’s degree in business administration. 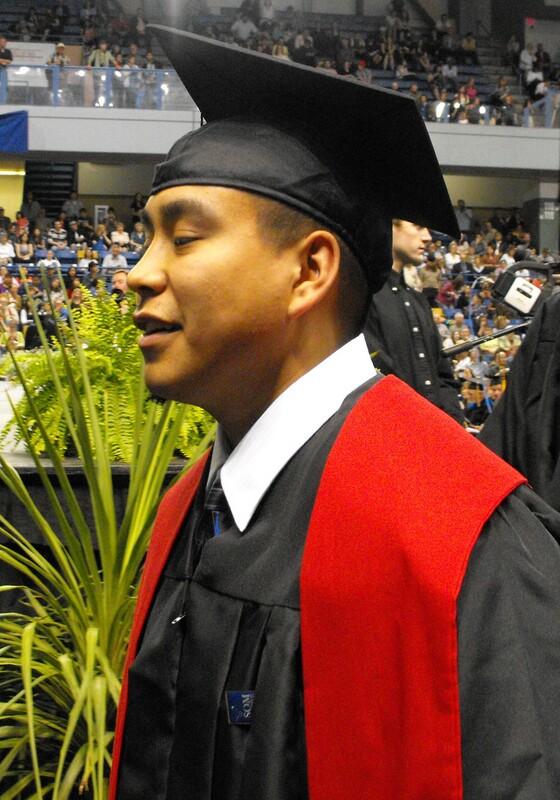 Not only is Edwin earning his MBA, he is also working full-time at a growing Alaska Native village corporation. Since 2009, Edwin has been the Shareholder Relations and Land Manager for K’oyitl’ots’ina, Limited in Fairbanks. Edwin is a shareholder of K’oyitl’ots’ina, Limited, which is the village corporation for Huslia, Hughes, Allakaket and Alatna. He finds his work rewarding because K’oyitl’ots’ina works toward the betterment of the lives of its shareholders through dividends, benefits and jobs. As you can see, Edwin is already an accomplished young man at 28 years old. I am always impressed with young Alaska Native people who are obtaining their education. I asked Edwin about his biggest challenges in life, and found that his life has not been an easy road. As a teenager, he committed a serious crime that has had lasting effects. Edwin is not proud of it. After severely injuring another teenager at a party, he was convicted of a felony. Although it is difficult for him to discuss, he hopes his story may help teens (and adults) from rural Alaska who may have or are going through a similar situation. Something can happen very quickly but once it happens it cannot be undone. Life is precious and can be gone in a second. A criminal conviction is something that shows up on every job application. The federal government will not hire you if you have a felony. In addition, you most likely cannot get security clearance to work on federal projects. When most employers see a felony conviction your chances of being considered go down significantly. As a felon, and some misdemeanors, you cannot use or possess firearms for the rest of your life (unless the conviction is expunged after 10 years). If you are caught with firearms, you can get a federal felony conviction. 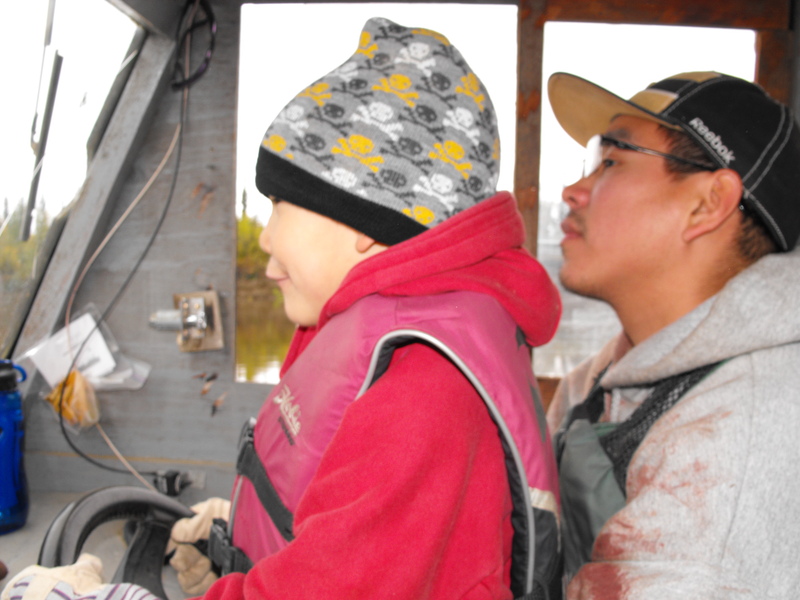 Hunting and subsistence are a part of every Alaska Native and rural Alaskan’s life so the effects of that are enormous. However, Edwin learned from many extended family members not to use this as an excuse to give up. Working and going to school means you have to plan and prioritize. Keep track of your daily chores and deadlines. Try to be efficient but still do a good job. Make time for exercise or outdoor work because it can refresh you when you’re tired. For those that want to get a college degree (whether associate’s, bachelor’s, or graduate), it’s important to keep making progress. Those that don’t give up will graduate. Even if you fail classes just keep trying. Avoid getting a lot of student loans, if possible. Keep your debt down because even after you finish school it can still take time to find a well-paying job. Apply for as many scholarships as you can and keep track of scholarship deadlines. When choosing a degree, be sure to research jobs and industries that best fit that degree. Picking a high paying job is always great, but whatever degree you choose make sure it’s something you enjoy and can see yourself doing for a long time. The time and commitment takes a toll on family members, including his girlfriend, Annette. She has always supported Edwin and been there through the tough times. Edwin says, “It’s important to continue to give family members as much support and attention in their lives as they give in yours.” He says the support from his family, friends and mentors has been critical to his success. Edwin has learned that you need consistent effort and hard work to succeed in anything you do. You also need to learn from older generations and veterans in your industry. You can gain valuable knowledge from them. Edwin says it is important to be humble and respectful. Edwin enjoys basketball, baseball, running and snowshoeing. He also enjoys hunting and being outdoors, especially in the fall time for moose hunting with his dad or brother-in-law, DJ. It is hard to be away from home, because you miss out on learning about cultural practices, outdoor survival and subsistence activities. Edwin hopes to be successful in helping with rural Alaska’s many economic problems, and believes the working with Alaska Native corporations are one way of reaching that goal. Upon graduation, he hopes to remain with his current company, but is open to other opportunities around Alaska and the Lower 48. Edwin and Annette hope to start a family in the future. Edwin knows he has a long way to go and a lot more experience to earn, but he is making progress one step at a time. The fact is, we all have challenges in our lives and we have all made mistakes. He says, “Everyone has goals or dreams and I know it can be easy to give up on those dreams because of your past, but its important to never lose hope.” It is inspiring to see that Edwin has not given up and has made the most of his second chance. Update: Learn more about Edwin’s latest endeavor, Zane Hills Capital at http://www.zanehillscapital.com/. Way to go Ed! Inspiration to all Alaskan natives. Way to go Ed!!! You are truly an inspiration to struggling young men everywhere!!! So very proud of you!!! This was very well-written, tells it like it was for Edwin and what he had to learn to get past it. It is very inspirational. This was written a year ago and I just now found it on this site. I will be keeping an eye on him to note what he will accomplish with his hard-earned knowledge and education. I am proud to know him and be related to him. Thank you Vina. Edwin has a very inspiring story. He received his MBA last May too! Praise God, so inspiring to know and having the heart not to give up because at the end of tunnel there is hope, I am blessed by this message n I bless you and your family with the love of the Lord! You keep it up n this inspiring story!